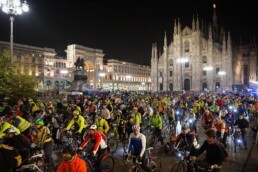 Bike Night is a cycling experience that combines night, passion and people. It’s a simple idea. It starts at midnight, from a city centre, and ends 100 km later in the open air: whether it is the beach, a lake or a mountain, they all are places far from urban centres. Bike Night wants to show you that you can reach places you don’t think you could reach. 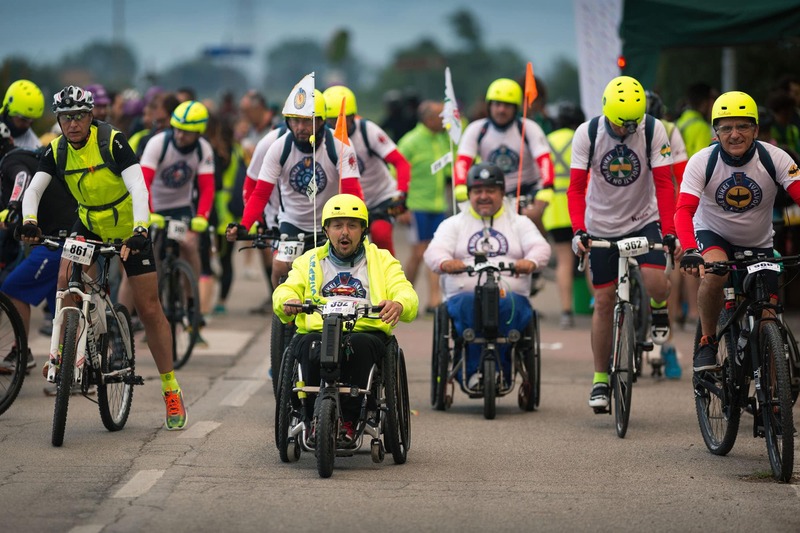 Forget stopwatches, there is no order of arrival: Bike Night is an event made up of elementary features that encourage you to get on your bike. 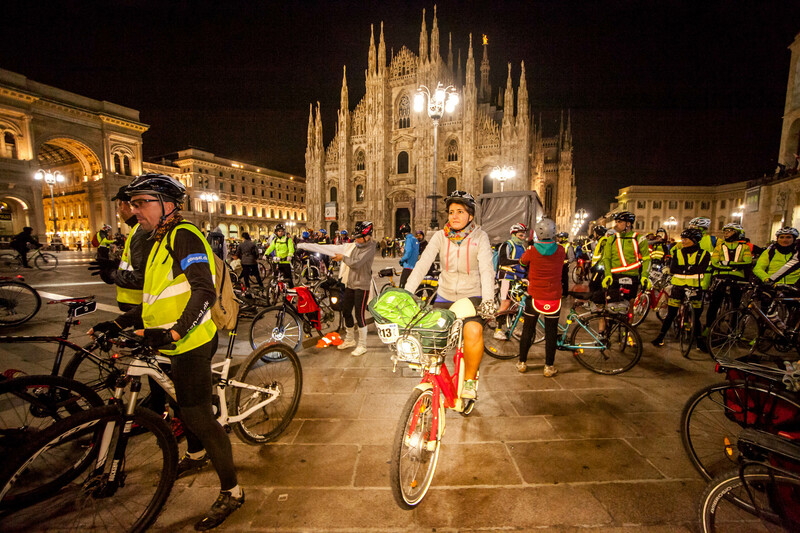 There is travel and movement, unusual departure times: the night is brightened up by cyclists’ lights making it an amazing aspect. You will face darkness and tame it while it swallows up you and other cyclists. You may feel tired at dawn but you’ll feel happy, satisfied and revitalised at the same time. Sunrise will warm you up and bring a smile on your cheeks and will be the perfect ending to a ride with people who share the same approach to bikes: a genuine and personal attitude unlike that of the latest trends or techniques. All types of bikers take part in Bike Night: professional cyclists, families, groups, men, women, kids. It’s a celebration where you do not need to dress up, you only have to finally play your own part. The clanking of bicycle chains is the soundtrack of a film where the screenplay unfolds while waiting for the start of the ride. You will flee a bikeless city life to go into exile. When it’s time to start, passion begins to spread taking over the streets at night. The film goes on with unexpected moments of exertion and refreshing stops, always in good company, where you can meet and discuss with other people. Then it’s time for a great ending, on a beach or a lake bank, a lot of kilometres away from the starting point. It takes a long ride to build everlasting memories. Cycling is an excuse to find a way to attract people who think they cannot do this, to encourage those who ride bikes but not this way. 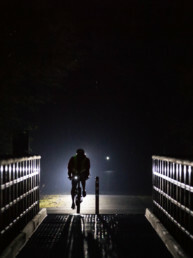 Cycling is more than an excuse, it is a language to express the potential of a place from new perspectives (at night, for example) and discover details and dynamics for a fresh start, promoting sporting or cycling activities within already-existing urban spaces that only wait to be further developed. 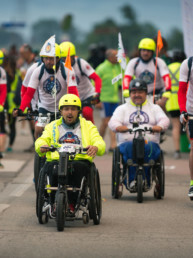 Thanks to the contribution of participants, Bike Night events also help raise funds for local charities involved in activities for the disabled persons and those in need, exploiting bikes as a means of help and support. Bike Night is a night event dedicated to bike lovers who are willing to put themselves to the test. Thanks to its unique format, it engages people by stimulating their curiosity. It mingles different realities and creates opportunities for partnerships between the public and private sector in order to organise events that do not strongly impact a territory but rather add value to its urban, landscape and emotional features. We will hold 6 events in 2018, all set in different sceneries but based on the same experience: a spontaneous and varied gathering of cyclists that colours the nights of our summer. Because our passion for bikes never sleeps. 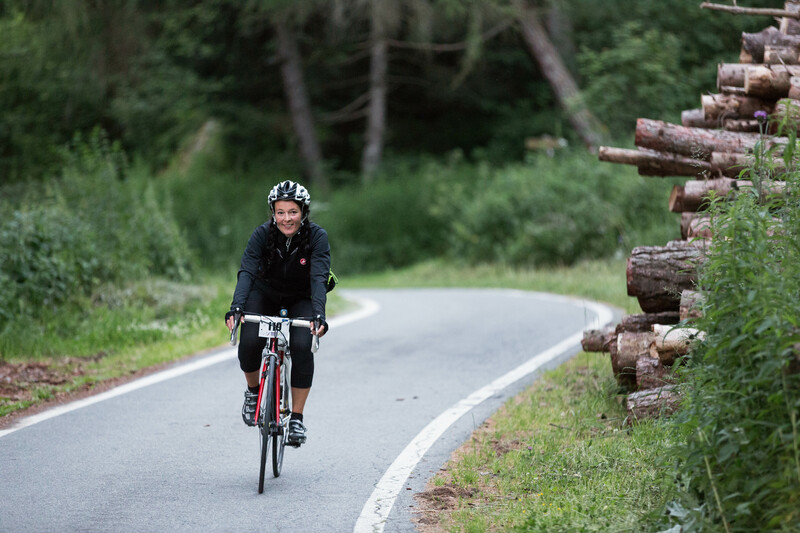 BIKES A chance to experience a very personal and authentic relationship with your bike: no competition, no stopwatch, you only need to pedal at your pace and with your own style. 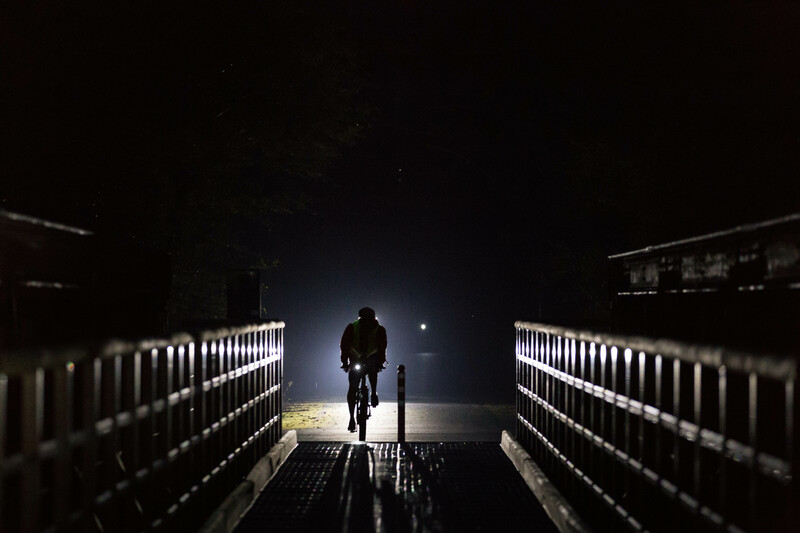 INVOLVEMENT We want to involve those who are passionate about physical activity and are seeking a good reason to get on a bike: the magic of night and the participation of many other people are the real reason. 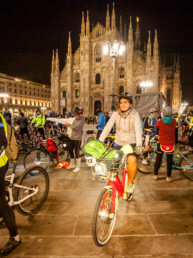 ORIGINALITY The peculiar characteristics of Bike Night, different from the usual clichés of other cycling events, stimulate the curiosity of those who cycle regularly and are technically ready but are still in search of new challenges. TERRITORY We mainly prefer routes on cycle paths because we put our participants’ safety first. We also try to make the most of the territory that hosts our events, cooperating with public and private local partners. 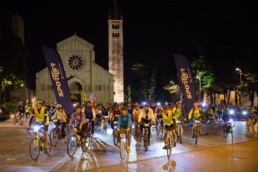 Bike Nights are held in Northern Italy, in six different regions – Emilia-Romagna, Trentino-Alto Adige, Friuli Venezia-Giulia, Veneto, Lombardy, Piedmont and Marche – and eight cities – Ferrara, Bolzano, Udine, Verona, Milan, Civitanova Marche, Ascoli Piceno e San Benedetto del Tronto. 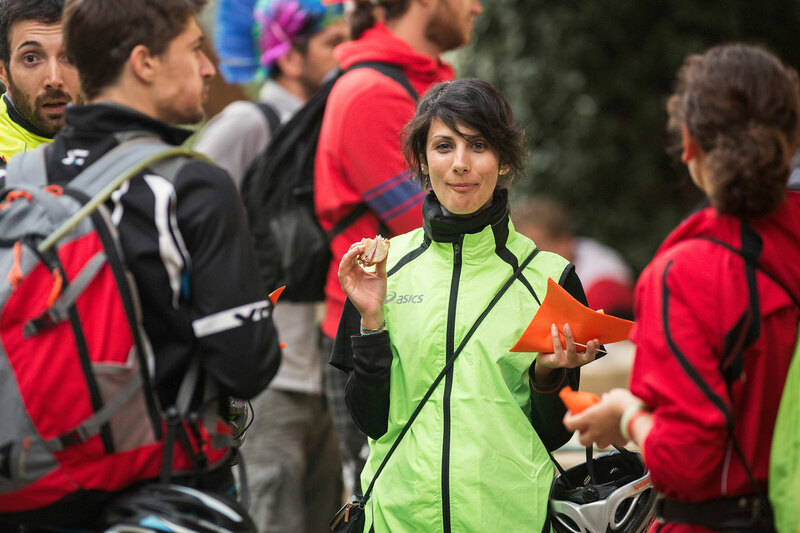 ENERGY Bike Nights are celebrations: they instill energy, brighten nights, foster physical and emotional wellbeing for our cyclists and all of us at Witoor. We do our best to offer you the greatest experience possible. 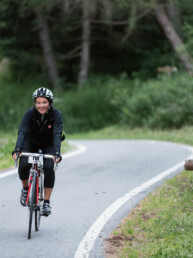 Routes mainly follow a cycle path, carefully pointed out, along a total distance of 100km (it varies depending on the event) with many refreshment stops. Be ready for surprises. Bike Night’s arrivals are in the open air: by the beach, along a lake, in the Alps. Each participant is welcomed by smiles and warmth. 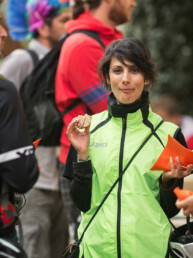 Upon arrival participants will park their bikes and enjoy a rich breakfast, have a shower and relax. A permanent staff works throughout the year to organise Bike Nights, supported by a group of volunteers on the days of the events.